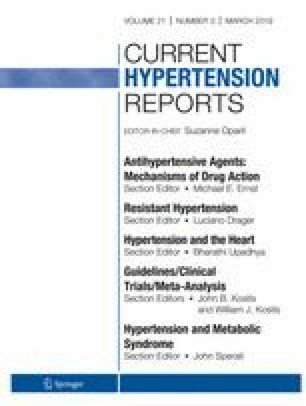 To review medical literature for evidence of association between hypertension and mitral regurgitation (MR) and summarize potential favorable effects of antihypertensive drugs on MR natural history and treatment. Hypertension and MR are common diseases affecting a large proportion of the general population. Contemporary evidence suggests that hypertension may worsen the progression and prognosis of MR through augmented mechanical stress and increased regurgitation volume. Renin-angiotensin axis inhibitors, beta-blockers, and vasodilators have been tested in order to prevent or decrease primary or secondary MR. Although antihypertensive agents may improve hemodynamic parameters and left ventricular remodeling in primary MR, there is no strong evidence of benefit on clinical outcomes. On the other hand, a beneficial effect of these drugs on secondary MR is better established. Moreover, there are no studies evaluating a possible benefit of lower blood pressure targets in MR. Randomized controlled trials are warranted to elucidate the precise role of antihypertensive therapy on treatment of MR.
Vasiliki Katsi and Georgios Georgiopoulos contributed equally to this work.